Read our FAQ of questions that have come up, and hopefully it will help you out. If not please don’t hesistate to let us know via our email here. 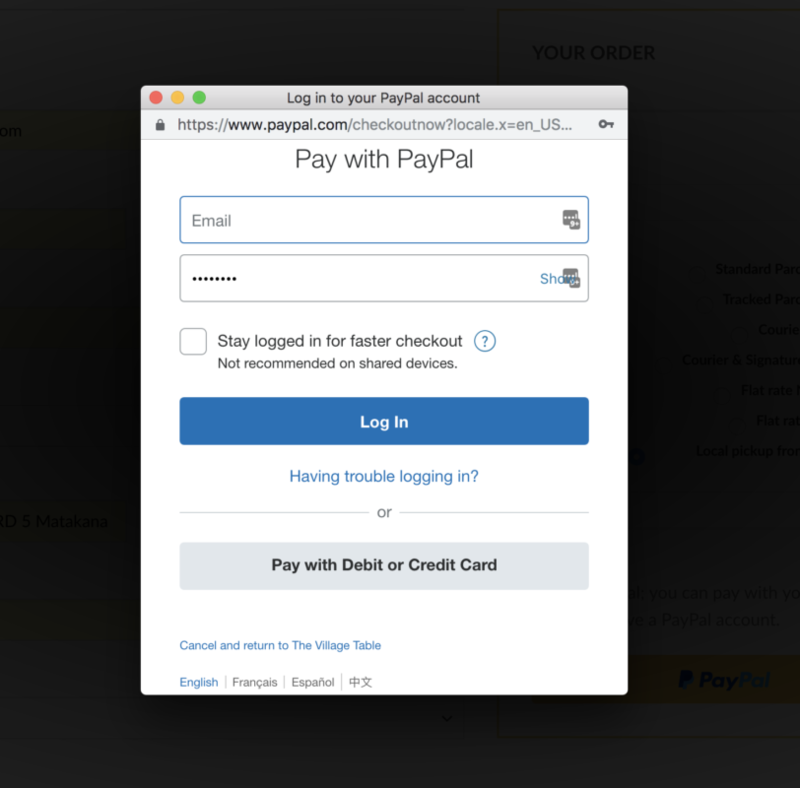 The most common problem is how to use paypal when you don’t have an account and don’t want to login. The button to use is easy to miss! 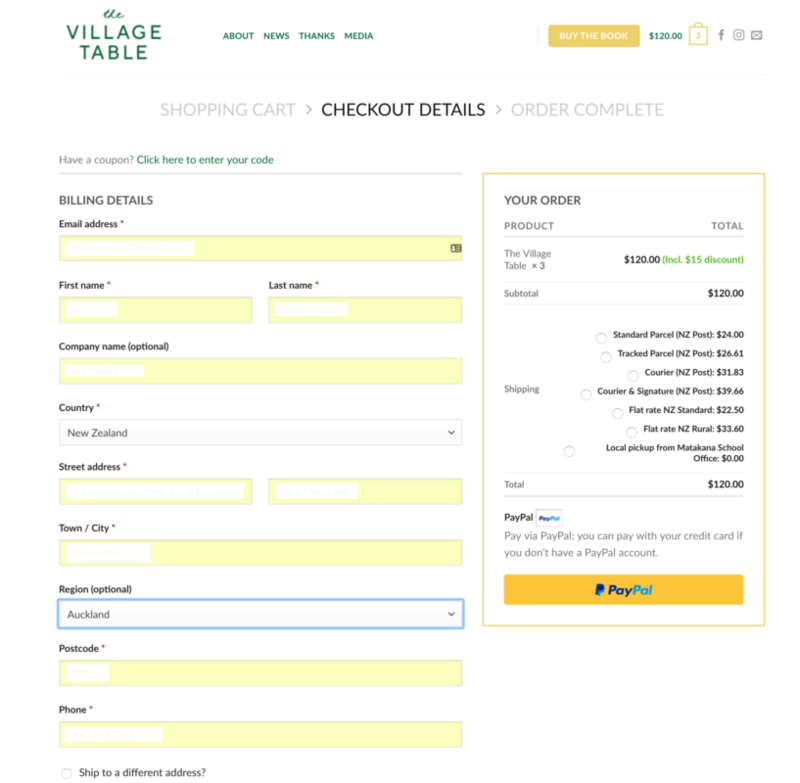 Just scroll down to the button “Pay with Credit or Debit card” and it will process as a normal credit card payment. If you didn’t receive the email confirmation, please ensure you have put in a correct email address. If you still haven’t received confirmation, please email us and let us know. 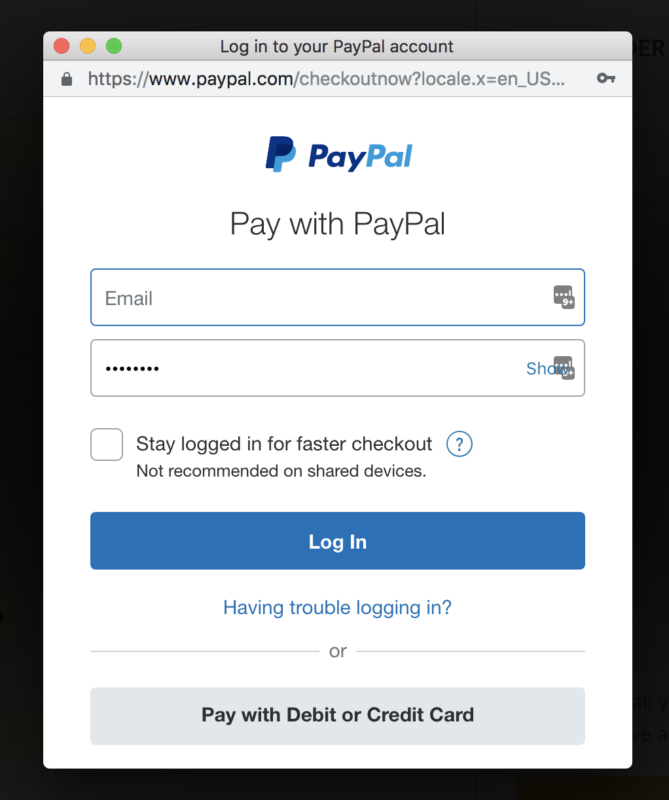 If you aren’t seeing the checkout buttons or paypal button and are uncertain where to go, this happens on different browsers. We recommend you try another browser or device. Also if you get the paypal login but don’t want to use paypal, choose the grey button Pay with Credit or Debit Card. Here’s what your screens should look like and if you can’t get it to show this way, please let us know via email and we will process your order the old fashioned way! !